According to estimates from the federal Centers for Disease Control and Prevention (CDC), more than 100 million Americans have diabetes or prediabetes. If you’re concerned about diabetes, make an appointment with the expert physicians at Apex Medical Professionals in Fair Lawn, New Jersey. Walid Elkhalili, MD, and the team have extensive experience in diagnosing and treating diabetes and can help you improve your health and well-being. 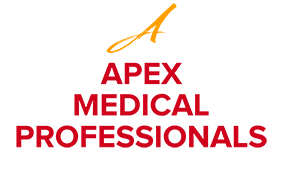 Call Apex Medical Professionals today or schedule an appointment online. Diabetes affects the way your body processes sugar and transforms it into energy. There are three prevalent types of diabetes. Type 1 diabetes is also known as juvenile diabetes, as it’s usually diagnosed during childhood. Type 1 diabetes develops when your pancreas doesn’t produce enough insulin to manage your glucose levels. Type 2 diabetes is also called insulin resistance. It usually develops later in life because your body doesn’t use insulin correctly to control your blood sugar. While your family medical history contributes to your risk of Type 2 diabetes, your diet and other lifestyle factors influence the development of this form of the disease. Gestational diabetes is another common form of the disease that affects pregnant women, usually starting in their second trimester. Diabetes causes a variety of disruptive and dangerous health conditions, including neuropathy, swelling, high blood pressure, glaucoma, and ulcerated wounds. If left untreated, diabetes can lead to premature death. Diabetic neuropathy is also a leading cause of amputations. Different classifications of diabetes have different causes. For example, Type 1 diabetes is genetic, meaning it’s often passed from parents to children. It’s believed to be caused by an immune system malfunction that causes your body to destroy the insulin-producing cells in your pancreas. Gestational diabetes develops because the placenta produces a hormone that disrupts the effects of insulin. How is diabetes treated and managed? The doctors at Apex Medical Professionals provide treatment specific to your type of diabetes and your needs. For example, if you have Type 1 diabetes, your doctor prescribes insulin to replace what your body isn’t producing. Type 2 and gestational diabetes are often controlled with changes to your diet and exercise habits. Your doctor can help you develop a new meal plan with plenty of delicious and fulfilling sugar-free options to reduce the amount of sugar your body needs to process. Also, if you take a brief walk after meals, the exercise helps your body convert blood sugar to energy more efficiently. These changes can also help you lose weight, which is known to improve your overall health outcomes. If diet and exercise aren’t enough to control your diabetes, your doctor can prescribe insulin or other medications to regulate your blood sugar levels. Call Apex Medical Professionals today or book an appointment online for expert diabetes management and care.